Hey, Lovely! 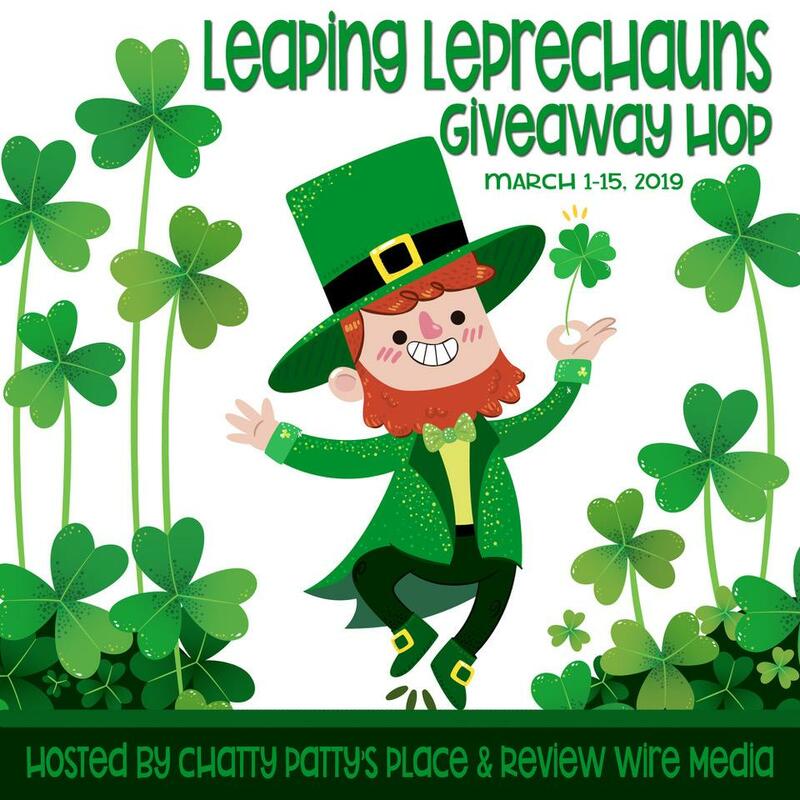 Welcome to the Leaping Leprechans Giveaway Hop! – Where you can hop from blog to blog, entering to win difference prizes on each site! While you’re here, ENTER TO WIN This gorgeous Pink Hair Straightener in the rafflecopter form below! Don’t forget to enter the linky below to hop from blog to blog – where you can enter to win prizes on each site! No one wants to labor over their hair during Labor Day weekend. We make getting ready for that BBQ much easier with our Fashionista flat iron straightening hair in just a single pass. Get this highly rated straightener for only $39(regularly $139) when using the code FASH39. NUME is even throwing in a 30 pc pack of bobby pins and FREE US shipping! Hurry! This offer ends at midnight on Labor Day, Sept 5th. I don’t know what girl with hair doesn’t love and obsess over finding an amazing flat iron. It’s an absolute must for the modern women, and I’m betting most of us have one in our bathroom. I’ve tried several flat irons, and there can definitely be a huge difference in irons, especially if you try to save money and go for something cheap. I started out with a cheapie and it basically did nothing at all for my naturally wavy hair. I would get some of the wave out on the top but could never possibly manage straightening out some of the thick wave in the back, bottom half of my head. I learned a valuable lesson right away, don’t skimp on the flat iron. Otherwise, you’re just throwing your money away! If you think about it, most of us use our flat iron several times a week if not every day, so why not invest in a great iron that will do the job, do it well, leave your hair healthier than when you started, and last you lots and lots of uses! So how exactly do you know when you are really buying a great iron but not getting ripped off. Most irons will run around $100-$200 so you want to be sure you are really buying the best iron for your hair. Cheaper irons can have a great risk for burning the hair, and you bet it will dry out your hair and probably leave it frizzier than when you started, at least by the next day. If you use irons often, its definitely worth the investment to buy an iron that will help keep your hair healthy and looking its best. 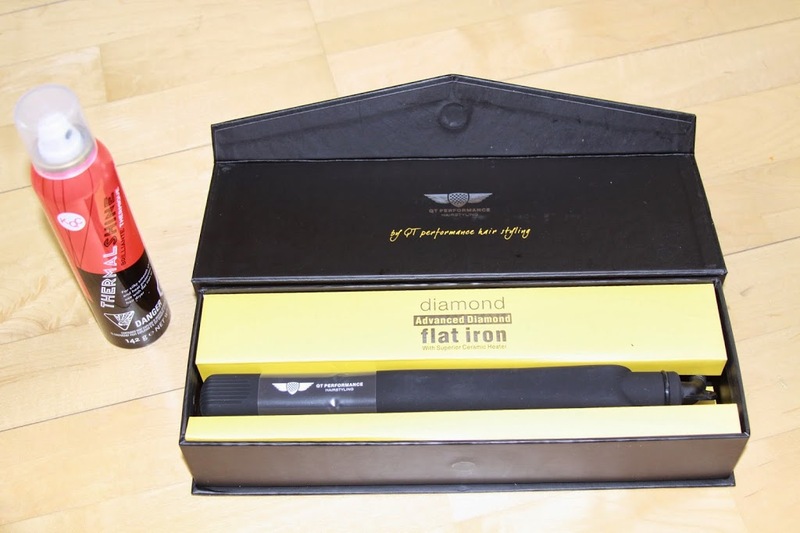 I recently got to try out the QT Performance Diamond Ceramic Flat Iron from Flat Iron Experts, and after reading the benefits of this iron, I was absolutely ecstatic to try it out! This iron is super effective at straightening even the toughest of curls, it will eliminate frizz and help seal in moisture. It also has an adjustable temperature so you can find the perfect temperature for your hair texture. Don’t know what that is? This iron comes with a handy little guide that will tell you which setting is best for your hair type. 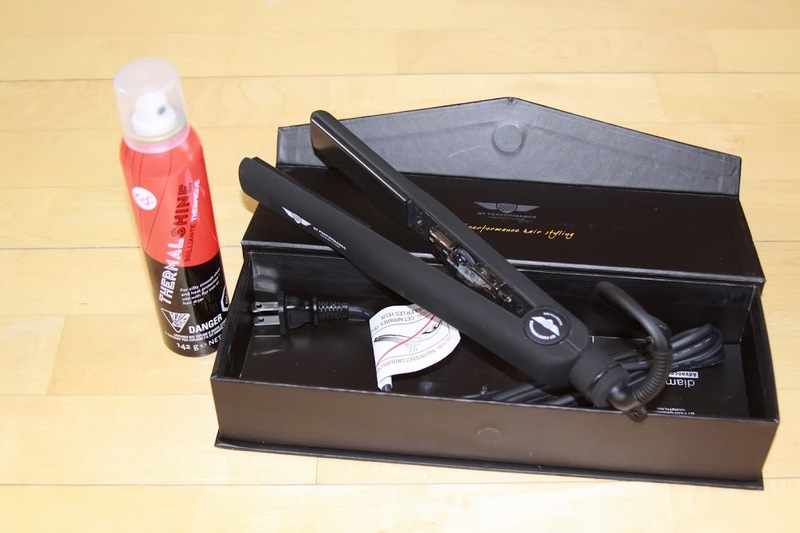 The Advanced diamond flat iron with ceramic plates is the latest in flat iron technology. The built-in ion generator emits a whopping 5 million negative ions per cubic centimeter, which in turn infuses hair with moisture while taming the frizz. If you don’t know much about negative ions, they actually help leave the scalp and hair healthier, prevents the growth of bacteria and fungi, and will close the hair cuticle. The Far Infrared heat emission of this iron helps you style your hair quicker and leaves your hair feeling softer and smoother, as well as gives you a shinier finish. The plates deliver even heat distribution to the hair, as well as minimizes pulling, snagging, and sticking to the hair. I got the 1 inch plates and loved how versatile it was. This size allowed me to straighten, curl, or leave pretty beach waves. I tried all three of them with this iron and absolutely loved the results and how easy it was to get each look. It also has a great 360 swivel cord so it won’t tangle, and the cord is also a great length too so you can move around your bathroom a bit while styling, instead of being confined right next to the outlet. When I got my iron and used it for the first time, I was completely impressed with how quickly it heated up to temp. About 30 seconds to be exact! I loved that because there were a few times I was ready to walk out the door and then decided last minute to hurry and run my straightener through my hair. My iron was ready to go in seconds and styling was super easy and fast too! My iron totally lived up the claims! I have super dry frizzy, thick hair and I need a higher temp and a powerful iron, and as I said above, not all of them can do that. This iron glided through my hair so smoothly. Absolutely no snagging just like they said. 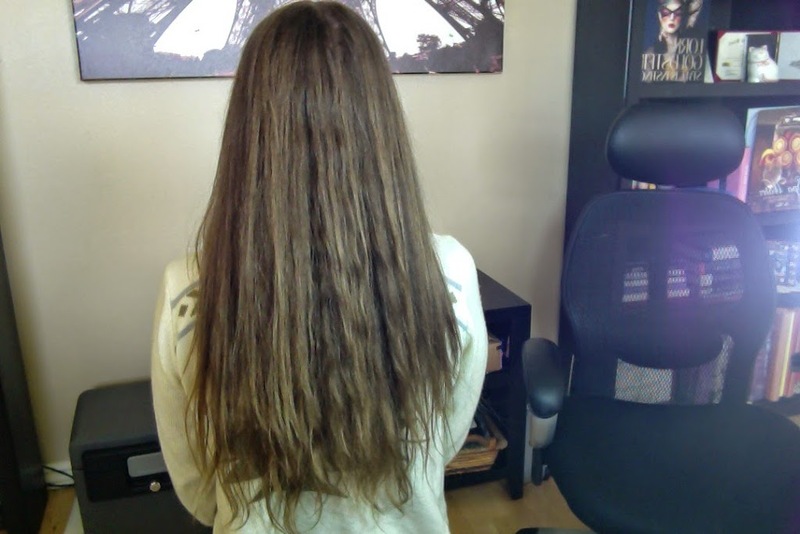 Even though I have super long, thick hair, I could straighten the whole thing in about 5-10 minutes. 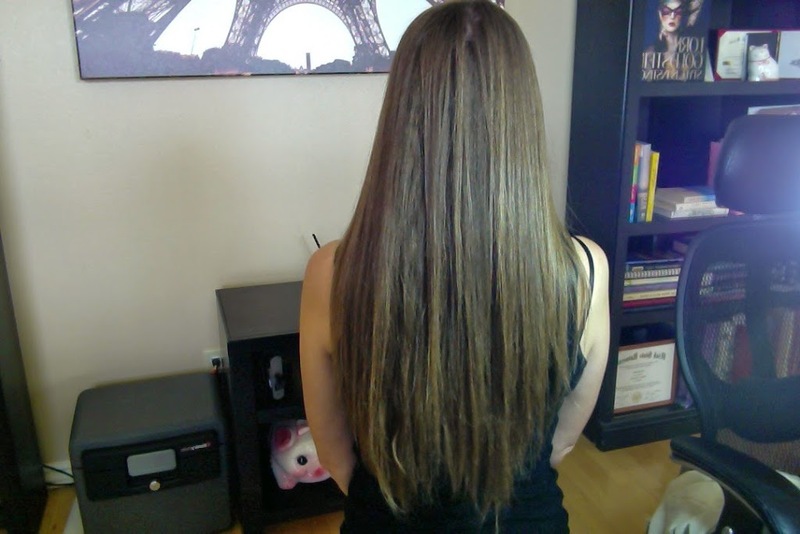 Once I straightened it once, I could wear it out for a day or two afterward without having to even use the iron again. 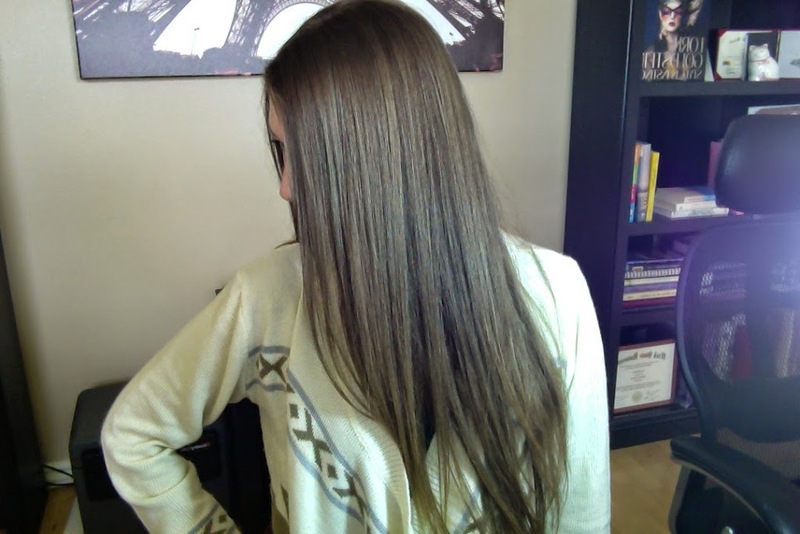 My hair stayed perfectly straightened for 3 days! I just needed to apply a little shine serum on the following days and I was ready to go! Speaking of shine, that was one of the most exciting things I found using this iron. Because my hair is dry and frizzy, it’s very dull and completely lacking shine. I’ve used a lot of irons that would straighten just fine but not give me shine. 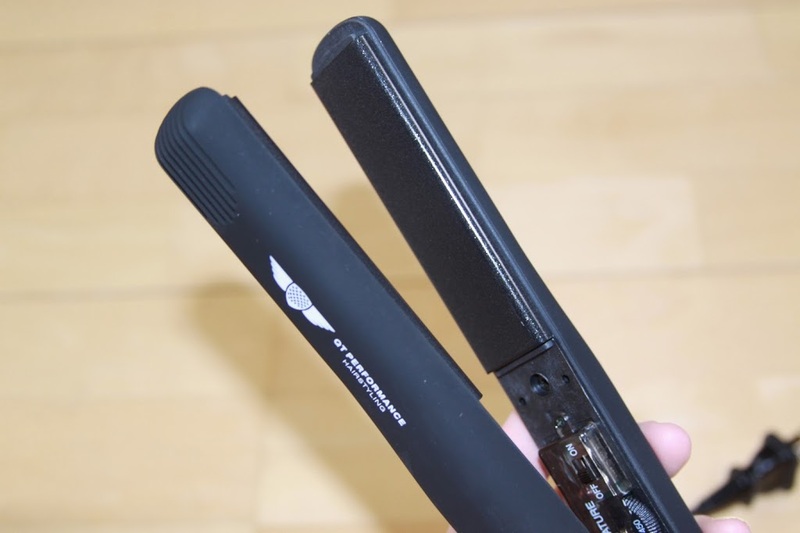 This flat iron actually left my hair looking shinier after using it! I probably didn’t even need the shine serum but am so in the habit of using it, I applied it anyway! I also experienced very limited frizz while using my flat iron too. On days I used it, I had no frizz. On the 2nd and 3rd day, depending on the weather (I live in an already incredibly dry climate and this time of year, mixed with my dry hair, I almost always get some frizz), I experienced a little here and there. Usually when I used my iron to curl my hair or create waves but was surprised by just how little frizz i did get. The pictures say it all, don’t they? And Look at that shine! I’m absolutely obsessed with this flat iron and it’s easy to see why! 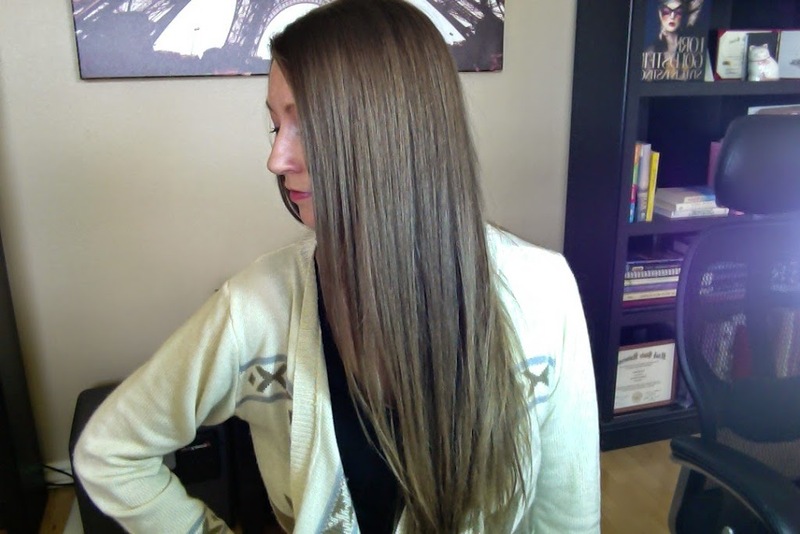 My hair looks great, looks healthier, is quicker, easier, and completely pain-free to style! 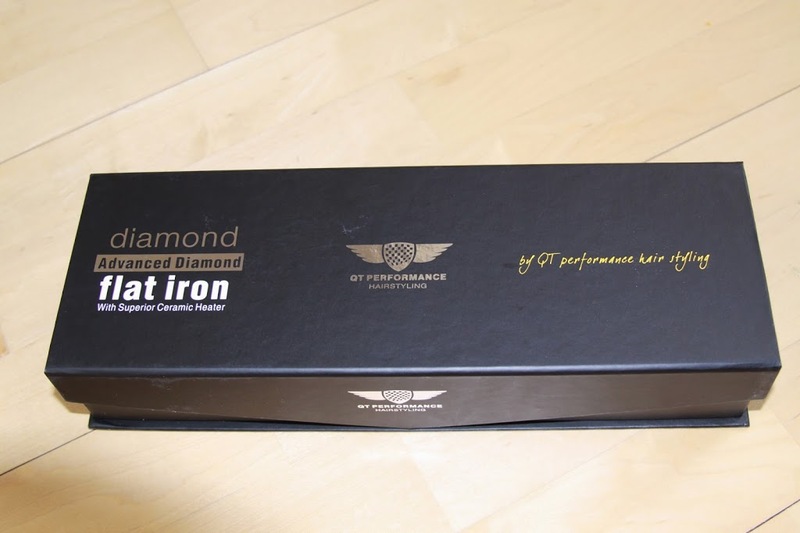 My QT Performance Diamond Flat Iron leaves my hair healthier then when I started, eliminates frizz and locks in the moisturize and leaves my hair much shinier too! This iron is truly amazing and perfect for all hair types and lengths!I would highly recommend this flat iron to anyone! If you would like to learn more about this wonderful flat iron or pick it up for yourself, shop it at FlatIronExperts.com today or HERE on Amazon! **I received one or more of the products mentioned above for free using Tomoson.com. Regardless, I only recommend products or services I use personally and believe will be good for my readers.